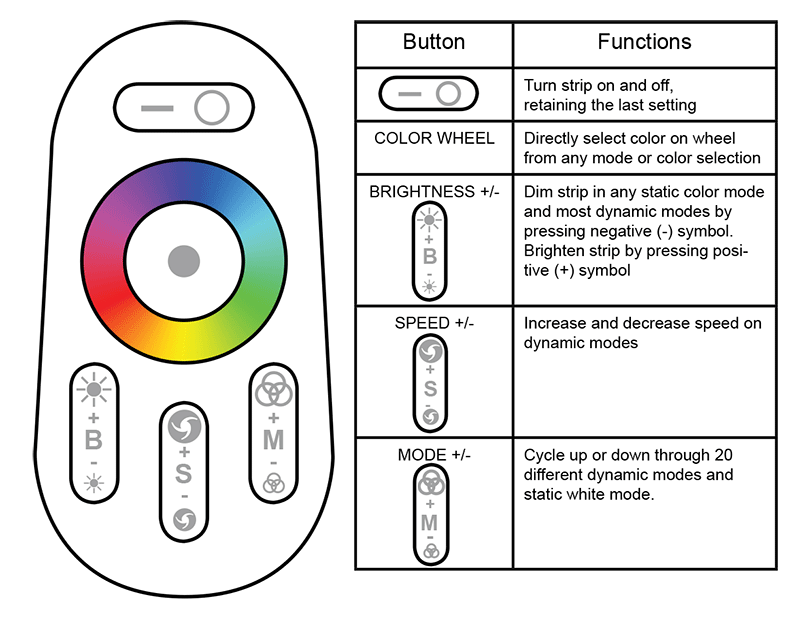 TC4 series RF Touch Color Replacement Remote: 360° View. Universal Red/Green/Blue (RGB) LED WiFi Compatible Controller & Dimmer with hand held RF Touch Color Remote (Requires 2 "AAA" batteries -- Not Included). Can control any 12VDC RGB LED product. Synchronization function allows a single remote to operate one or multiple controllers (User configurable). 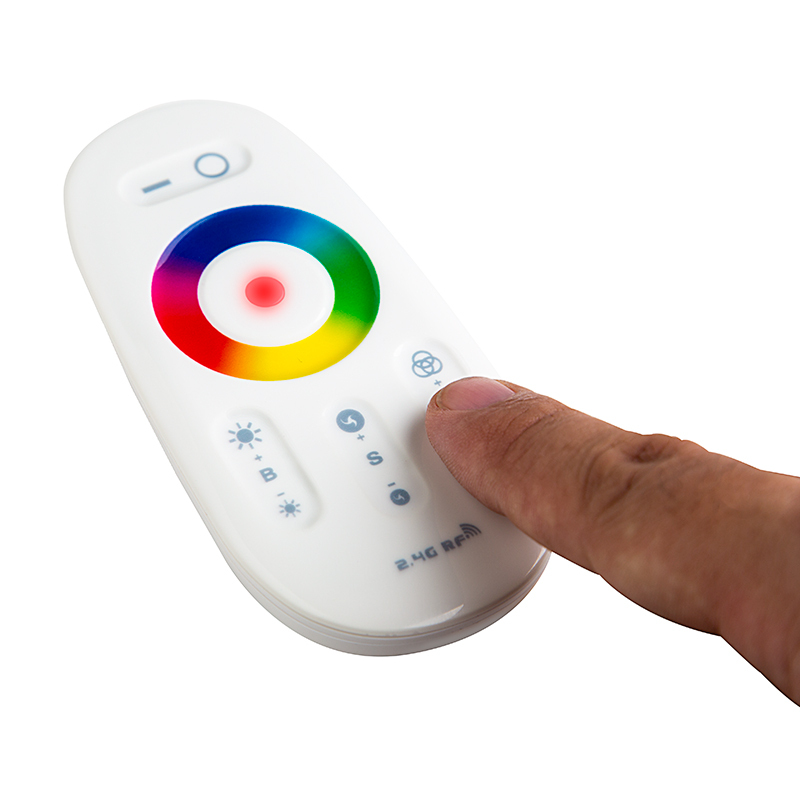 Color selection wheel provides thousands of color options from pure white mode or 19 dynamic color-changing modes modes with speed, brightness and ON/OFF controls. Maximum load is 6 amps per channel, 18 amps total. Must be paired with Wi-Fi LED Controller Hub (WIFI-CON -- Sold separately) for adjusting all controller functions using a Smartphone or tablet running Android or iOS using free app 'WiFi Controller'. 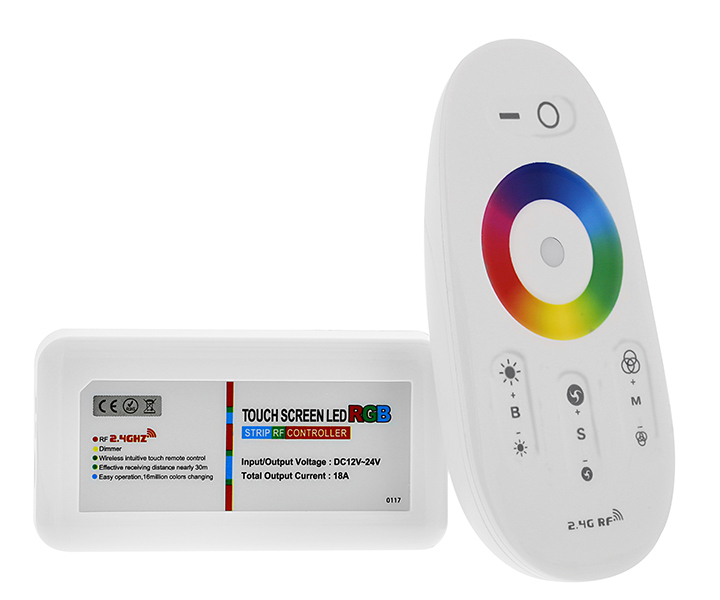 RF Touch Color Replacement Remote for TC4 series RGB controllers and RGB LED bulbs. Control range of 65 feet in open air. Color selection wheel provides thousands of color options including pure white. 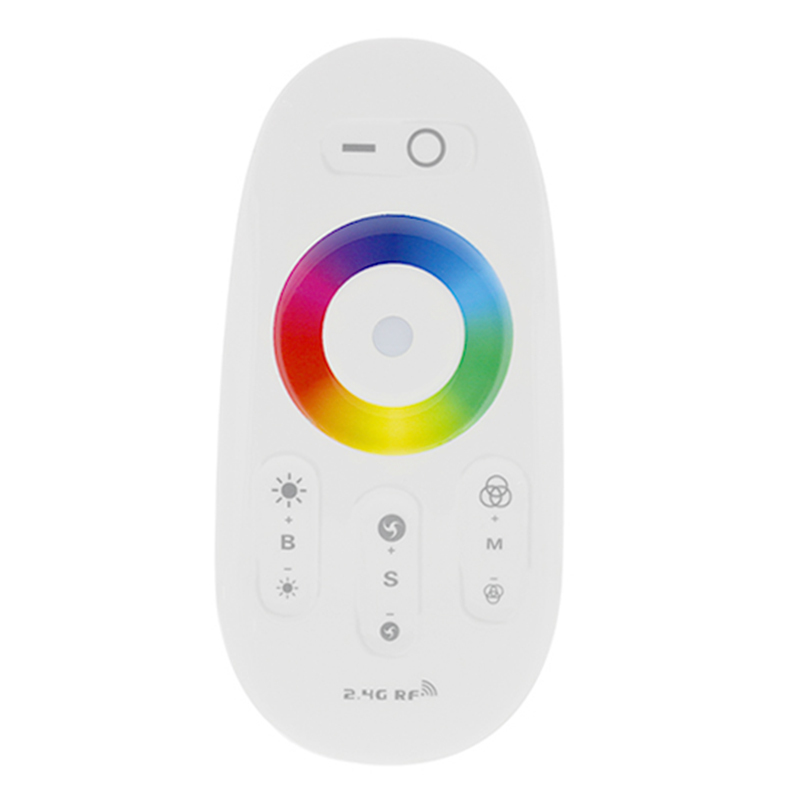 19 dynamic color-changing modes with speed, brightness and ON/OFF controls. Compatible with Wi-Fi LED Controller Hub (WIFI-CON -- Sold separately) for adjusting all controller functions using a Smartphone or tablet running Android or iOS. Search for the free app 'milight' in your device's marketplace. The LDRF-RGB6-TC4 features RF remote to controller device pairing to help eliminate interference from other nearby units. If you wish to control several controller devices from a single RF remote, the controllers first must be re-programmed. The easiest and fastest way to re-program several controller devices at once is to have them share a power supply or all plug in to a single power strip. Once programmed you can provide power as you would otherwise, sharing is only needed for the programming phase to ease the process -- Re-programming can be done one device at a time also. 1. 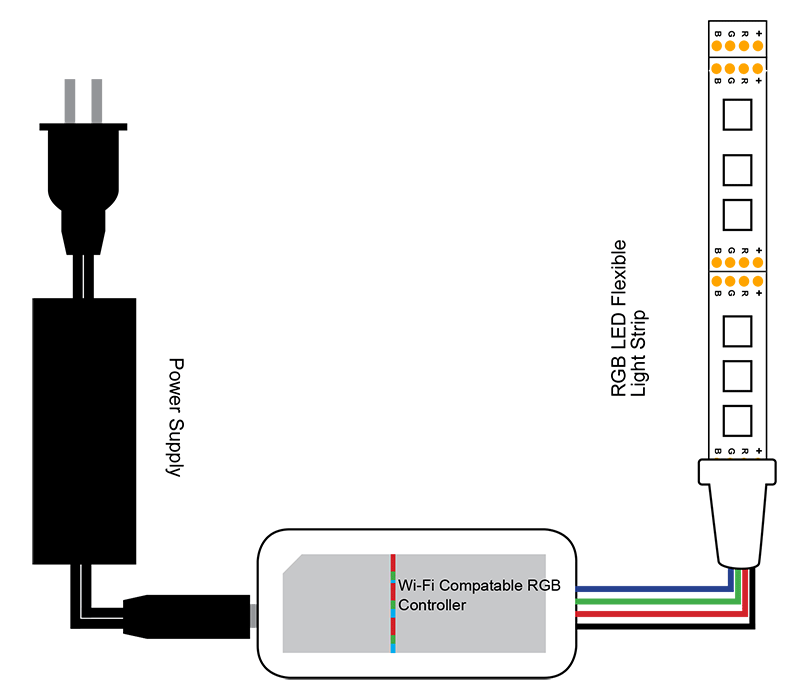 Wire all controller devices to one power supply or power strip but don’t turn it on yet. 2. With the power off, grab the remote. 4. Within 3 seconds of providing power press the button once. 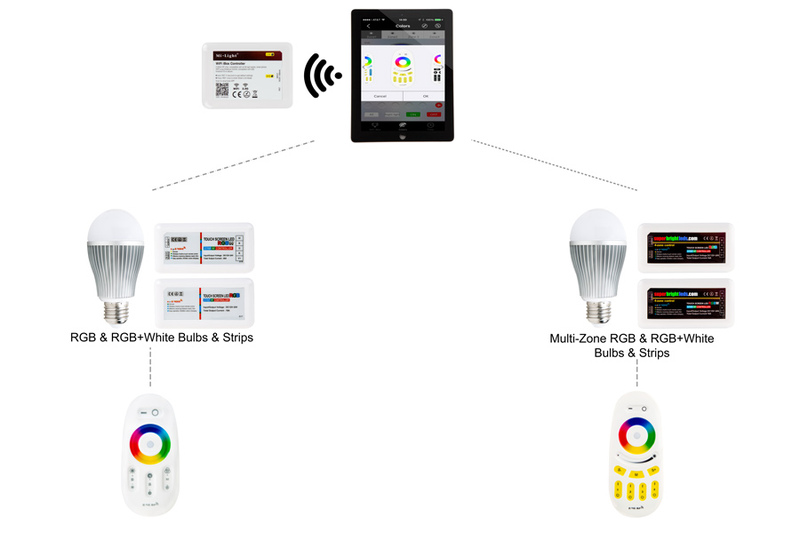 If programming was successful any connected light strips should blink twice slowly and remote will immediately be functional. 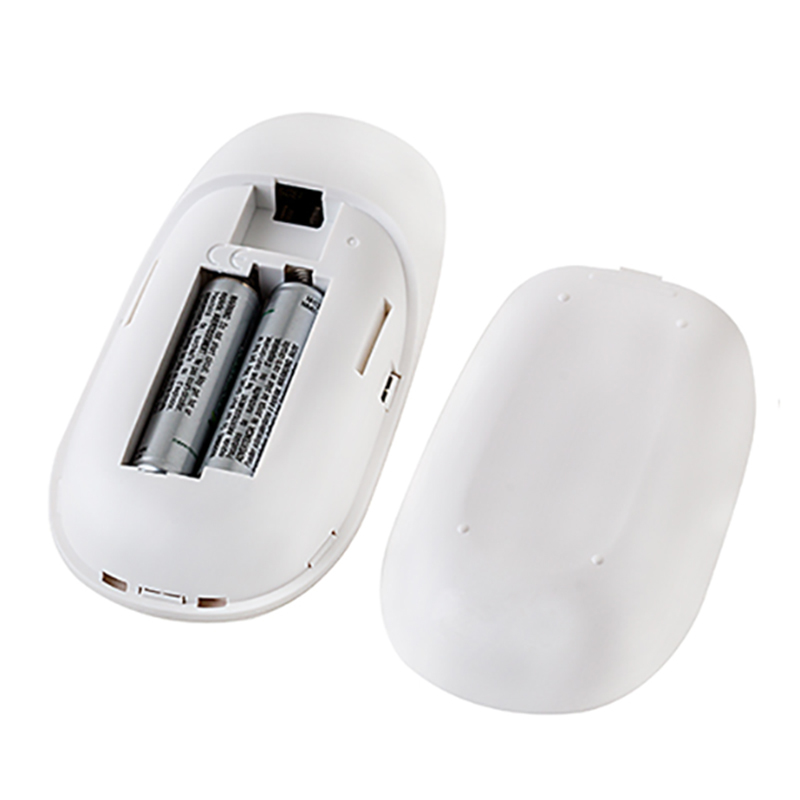 *RF remote controller has a signal range up to 65ft (20m) and requires 2 x AAA batteries (not included). Remove strip from reel and make connections to power supply and controller (see “Method 1” diagram). Briefly turn on strip using the included remote controller to ensure proper operation of the strip, power supply, controller, and remote. Choose your desired yet suitable location for the power supply and controller. For use in dry locations only. Ensure all installation surfaces are clean and dry. Begin to remove strip’s backing while adhering to desired mounting surface. Press firmly to secure strips to surface. Mount controller and power supply to desired location. DO NOT connect controller or strips directly to 120 VAC power. This controller requires a 12 VDC or 24 VDC power supply. DO NOT exeec max load of 18 Amps, overloading the controller may cause overheating, shorting, and possibly failure of controller. Be sure the power supply is not plugged into an outlet before connecting or disconnecting any of the systems components. DO NOT expose the controller and light strip to direct or indirect moisture. Always observe proper polarity when connecting power and load.